The anniversary will be marked on the 28th March and the calendar of cultural events has been planned following a series of meetings with the Valletta community and its representatives earlier this year. 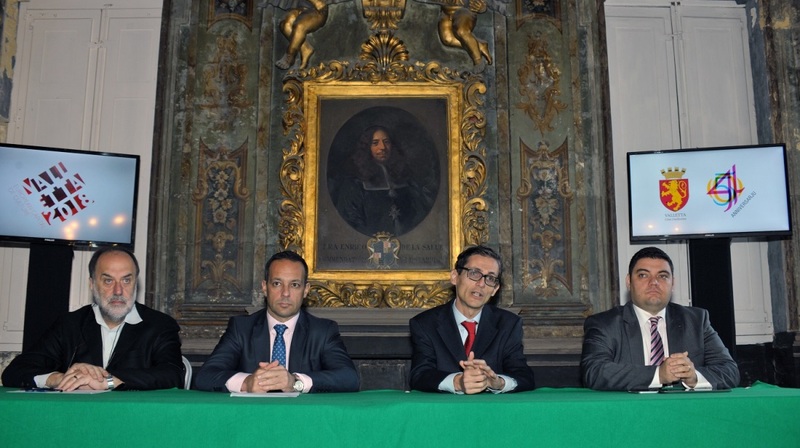 2016 is a special year for Valletta during which the 450th anniversary will be marked. In a rare occasion, the two Valletta band clubs will be joining forces, a special edition of Carnival will be held and the first Valletta Pageant of the Seas will start a new tradition on the 7th June. The Valletta 2018 Foundation, together with the Valletta Local Council, is commemorating the 450th year anniversary since the city’s foundation stone was laid, with a special programme of events. Valletta Mayor Alexiei Dingli added “Together with the Valletta 2018 Foundation and other entities, events are planned to take place almost every week in 2016 to celebrate such an important year. Valletta and its people have a unique character and this will be celebrated in these events which are planned to include all members of the community”. For the year 2016, annual art festivals and cultural events organised in Valletta will be including special activities. The 450 programme also includes the Valletta Pageant of the Seas, a large-scale event in the Grand Harbour featuring several marine vessels, a swim between Fort St. Angelo and Fort St. Elmo commemorating Toni Bajada, as well as several races and acrobatic shows. This is planned to give a taste of the year-long Cultural Programme in 2018. Other activities include a celebration organised by Valletta’s parishes as well as a concert featuring music by Valletta’s resident band clubs, King’s Own Band Club and Societa’ Filarmonika Nazionale La Valette. The Valletta 2018 Foundation has appointed a coordinator to ensure that these activities are widespread and inclusive. For this special occasion, a logo, consisting of the Valletta Local Council logo and the 450 year anniversary logo, was designed and released earlier today.